Second to fruit, we love our flowers. We grow lavender, sunflowers, zinnias, edible flower garden, and several kinds of bulbs. Magnets for butterflies and hummingbirds, it is a pleasure to sit and watch nature in our gardens. New for 2018 we will be adding a large amount of Dahlias for U-Pick-It. Our canning gardens…mint, oregano, basil, lemon balm, dill, cucumbers, squash, heirloom tomatoes, peppers, carrots, horseradish, turnips, peas, beans, kale, arugula…and so much more…can all be found in our vegetable gardens. 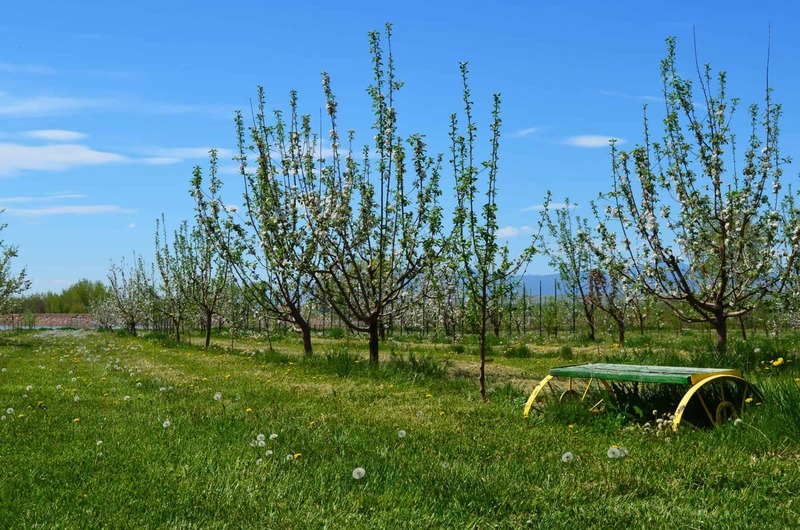 Our orchards are home to 1,000 fruit trees, primarily heirloom apple. We also grow cherries, plums and pears. Vineyards have been planted which include table grape varieties and wine varieties. Cherries kick off our fruit season! Ripening around the first of July our Montmorency Cherry (tart pie cherry) trees could not be more beautiful covered in red. 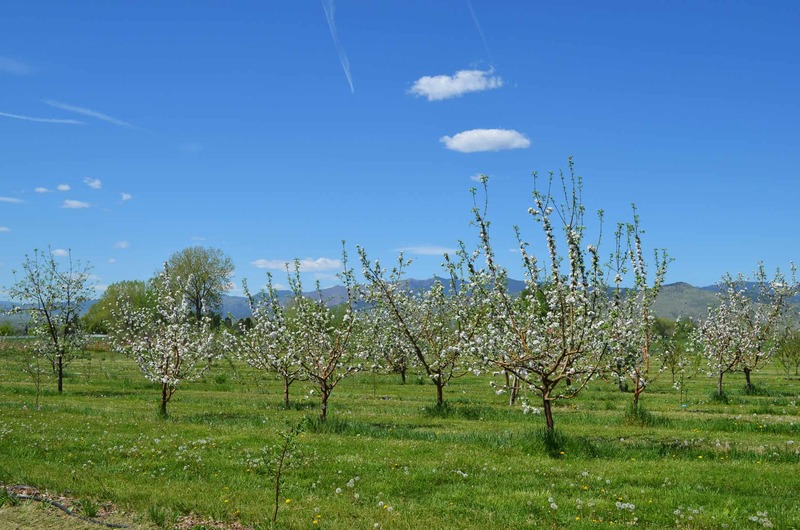 Plums were planted in 2016 – approximately 60 trees with 4 different varieties. Anticipated production in 2021. Pear trees produce in Septebmer. We raise Asian pears and Bartlett pears. We have over 120 varieties of apples. The variety calendar below reflects varieties in production. In 2017 we added a large amount of heirloom hard cider varieties which we expect to produce in 2022.